I am officially back to school. We have completed 8 days and let me just say how I truly forget how the beginning of school is oh so tiring. The days seem so long and the kids are so young. Some days it wasn't even 8:30 and they wanted their moms or to go back to their daycare. The first few days were rough, lots of repetition of the rules and procedures. I was worried it would be a long year, but by Friday things started falling into place. 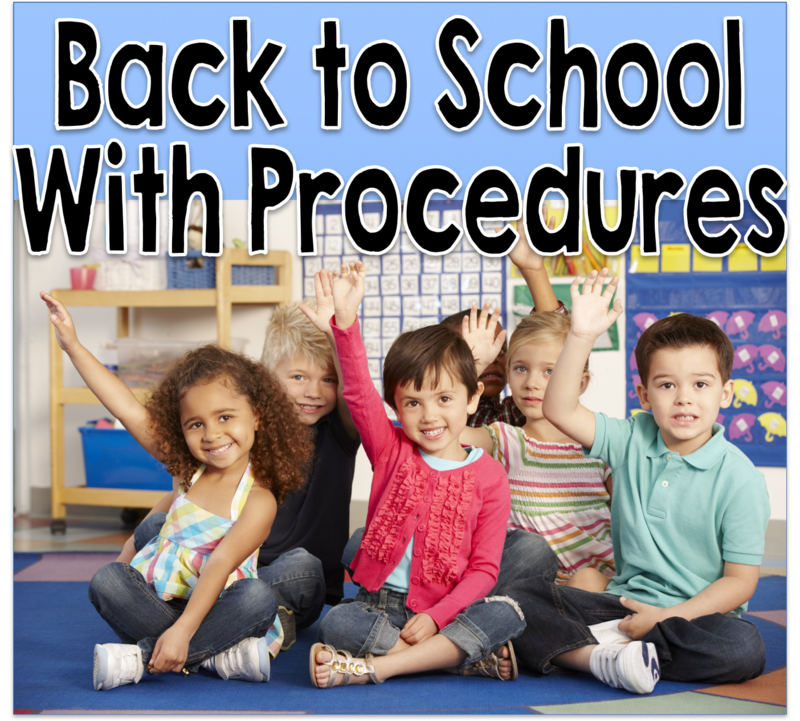 I can't stress enough how important it is to review procedures every time you transition and enter the room. 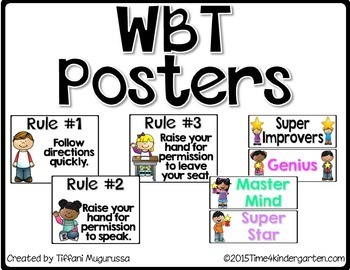 I am once again using WBT . 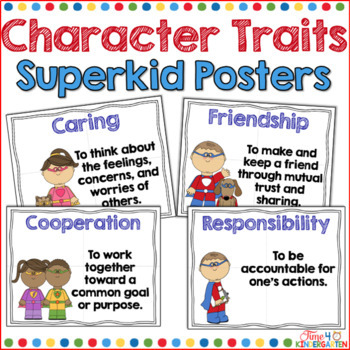 You can download my classroom posters here for Free. Just remember to breathe and take baby steps. 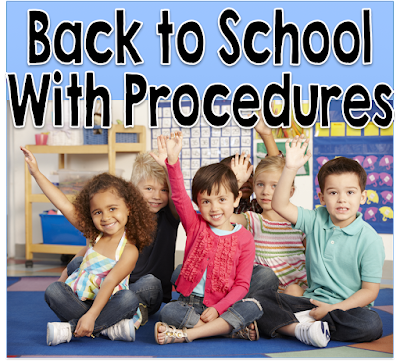 I review procedures continually from the moment I open my door, my students are greeted with "Good morning "I'm so happy to see you, put your lunch box on the cubbies, backpack on the hook, and meet me at the carpet." Next it is Rule #1-Follow Directions Quickly... Then I review Attendance-procedures "When I call a name only the person who I have called can answer- here." Procedures, procedures, procedures. We practice everything from sitting on the carpet, pushing in chairs, hanging up backpack to lining up. Remember it is all new, so they have to learn how do it and they won't learn the very time you show them. 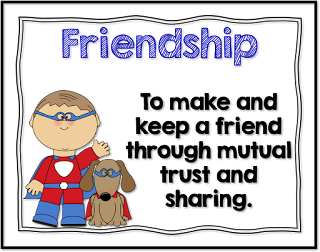 Our lifeskill this week is Friendship. We discussed this a lot this week as so many of my students did not know each other. I asked my students a few questions about friends. They had really great answers. "What can you do with a friend?" go to the park- have a sleep over- play Legos- ride bikes together. someone to play with--they help you- make you laugh- when you are hurt they take you to the office. Each week our school focusses on different lifeskills. I try to incorporate them into my read alouds and my oral language time. Later in the week I modeled how to introduce yourself to a person and then ask that person what their name was. Hi, I'm Mrs. Mugurussa, what is your name? Next, I asked the kids to stand up and walk about the carpet and introduce themselves to each other. Before I knew it they were putting their hands out and shaking each others hands. I even heard my Vietnamese student participating. This was one of those lessons that just came to me as I was teaching, but will be a keeper. It helped the students to learn their classmates names and meet new friends. These are the posters we use at our school. That's it for now. I'll share a few more lessons later this week with a few freebies so make sure to comeback.